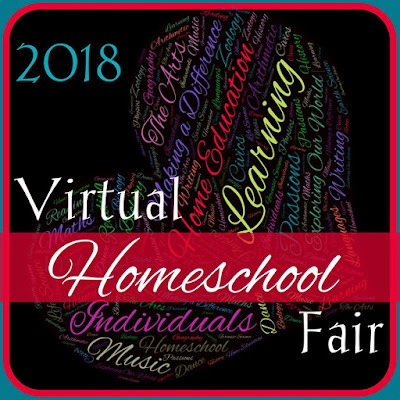 Welcome to week one of the Virtual Homeschool Fair, graciously hosted by Susan @ Homeschooling Hearts & Minds. As I mentioned in my little introductory post, this year the Virtual Curriculum Fair has been renamed and re-envisioned. We will be addressing multiple facets of homeschooling, as well as a week dedicated to curriculum. This week we are all talking about why we homeschool, which is quite possibly a slightly different reason for every family. Our little family started for one reason, but have continued much longer than intended for a host of other equally valid reasons. Our sixteen year old daughter, Amber, began her school career in parochial school. We were happy with her in the Lutheran pre-school and growing into the elementary school. However, the school she attended started having some internal and financial difficulties during second grade, and we had already switched our church membership to another Lutheran church that also had a school. We made the decision to switch Amber to the school attached to our current church congregation. This was possibly a mistake, or simply a progression that needed to be made. The second school seemed perfect on the outside, but the people (kids and adults) on the inside were less than welcoming to a new girl - who technically wasn't that new since she had been a member of the church congregation and going to their Sunday school for over a year. Amber survived third grade, but was not thrilled with learning like she had been. Fourth grade was horrid. We found out fairly early on that Amber had been bullied from almost day one at this school and she could not take it anymore. We worked with the school for a good portion of first semester trying to remedy the situation. Unfortunately, the school administrators did not truly feel they had a bullying problem, although all the parents we spoke with knew it was an unspoken and large problem. We decided over Christmas break of fourth grade to homeschool Amber starting in fifth grade. Amber kept asking why we couldn't start immediately, but we were not as sure in our decision as we made it sound to her. It was a hard thing to break away and do, when we honestly only knew a few people who homeschooled. The situation became unbearable only a week into second semester, with the kids bullying Amber and insulting her directly in front of me - knowing full well I was her mother. We withdrew her from school in January of fourth grade with the intention of homeschooling on a year-by-year basis. We would re-evaluate her emotional state and the school each year. That idea didn't last long, because we absolutely LOVED homeschooling. It took us a while to realize that we could basically do whatever we wanted. We didn't have to study what her school would have been studying. Amber did not have to take social studies and learn the same map reading skills every year. Instead, we could learn about actual American history and not only the Colonial time and Native American tribes. We could study earth science and physical science, instead of emphasizing biological sciences and throwing in a few physical science tidbits here and there. It was empowering! Amber had dreamed of studying Latin - I know, she is a bit kooky for languages, but the best her second elementary school did was a Spanish club after school that cost additional money. I tried to put her off a little, but we started Latin in February, one mere month after our homeschooling journey began. Since then Amber has also studied German and Greek, and is now preparing to work on Hebrew. What began as a way to save our child from the terror of being bullied became the conduit for her to develop her love of languages - English and foreign. 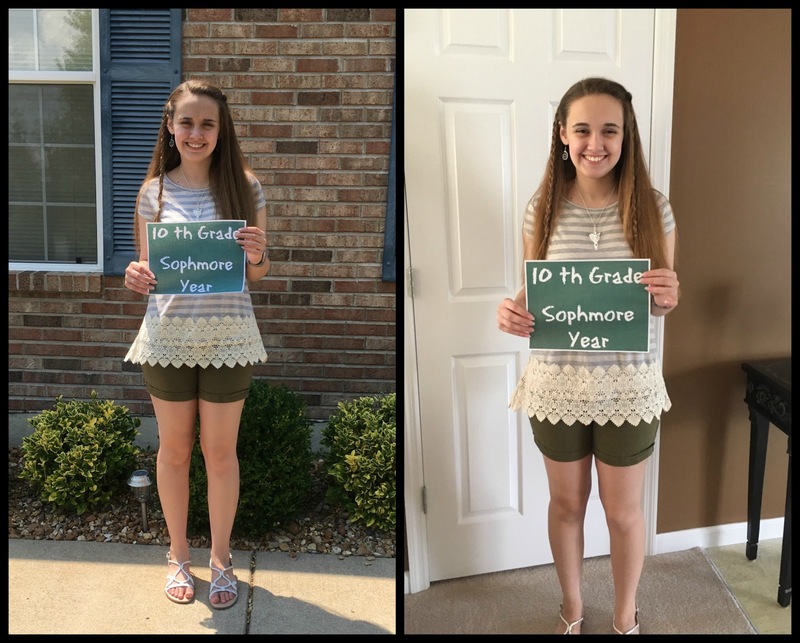 Just as we were becoming more sure of ourselves as homeschoolers and considering homeschooling through high school, Amber began having more than her normal level of quirky eating issues. And some of her other slightly different bodily reactions became more pronounced. Over a few months she became so sick that people who had never met her before could tell she was sick simply by looking at her. All in all, it took a couple of years to get her full diagnoses, and I've documented most of that story already. However, the end result is that she has a genetic connective tissue disease (Ehlers Danlos), which greatly limits her physical abilities. Additionally, she gets to be one of the people with this genetic disease to also have the comorbid dysautonomia - meaning her autonomic nervous system is broken and does not do what it should. There are also several other side conditions that come with both of those. I cannot imagine the difficulty we would have sending Amber to either a public or private high school with any of these medical conditions. Actually, I am part of support groups for parents of kids like Amber, and their school experiences are horror stories. Even if we had not be sold on homeschooling prior to each stage of her diagnosis and ensuing treatment plans, we are now. Finding time for all of the medical appointments while still managing to attend school is a difficult situation. Managing Amber's health and medications is made simpler when we can structure school around her, and not her around the school's schedule. Additionally, the dysautonomia and some of the other resulting conditions from the EDS have affected Amber's cognitive abilities. The term used by Amber's medical team for her slow days is brain fog. She cannot make her brain work. On those days, we school the best we can and avoid overtaxing subjects since mental exhaustion equates to physical exhaustion for her. She also has documented slowed cognitive abilities in specific areas and needs extra time and patience with those subjects - particularly math. Although we no longer do the fun, hands-on projects from elementary school, high school has been much more enjoyable for Amber than I remember it being. She still studies the subjects that interest her within the framework of the credits she needs to graduate. We have been able to work with Amber's occupational therapist to determine Amber's best learning methods, and then were steered to neuropsychology when it was time to document and further assess Amber's cognitive abilities. Homeschooling high school has allowed us to follow those best learning practices suggested by OT and neuropsychology without having to jump through the hoops to create an IEP. It also has given us the ability to create unique courses to fulfill credit requirements and to provide Amber with electives not usually available in your average public or parochial school. What started out in fourth grade as the means to rescue our child for a short while, has become our way of life. Now when asked why we homeschool, we might answer: in order to accommodate Amber's fluctuating learning abilities and assist her in learning all that she needs to know, while still letting her follow her own interests and strengths. Although, in truth we have found each homeschooling year to be more enjoyable than the previous, and homeschooling high school has been a joyous adventure. 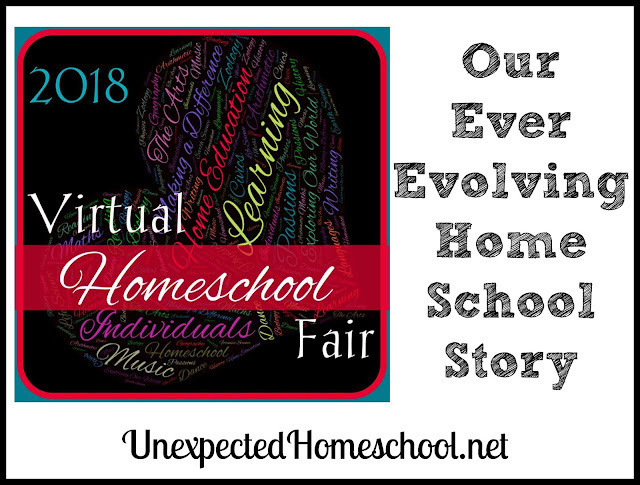 Now that you've read our story, take a look at how the other participants in the Virtual Homeschool Fair came to homeschooling. Note: all posts will be live after 8 am EST. I enjoyed hearing your story, although I am so sorry that Amber was bullied. That is horrible. I am so glad you all enjoy homeschooling. Such a great story, the hope and blessings just poured out. This is very interesting to me because we're beginning to think that a weird collection of symptoms that my oldest daughter has struggled with all her life might be Ehlers Danlos. Her doctor is sending us for genetic testing, and I'm curious to see what we learn. I am so sorry about the initial reasons you had to homeschool, but it's like a blessing in disguise. So glad you were able to bring her home and you were able to hone in on her symptoms too. Glad she is feeling better too, we have a friend with ED. I can't believe Amber is in 10th grade! Time is flying by...enjoy every minute! I love your title, I think everyone's reasons are always "evolving." So encouraging! Most of the homeschool moms I know are unexpectedly on the journey!